In one of the smallest proxies of the Cold War, the United States, with the support of troops from other Caribbean governments, invaded the island nation of Grenada to depose its military dictator and secure the evacuation of American students in the country. Grenada had gained independence from the United Kingdom in 1974 and experienced civil unrest until Maurice Bishop’s New Jewel Movement overthrew the government in 1979. The Bishop government attracted attention from U.S. government officials in the summer of 1983 when it began constructing the Point Salines International Airport with assistance from Cuba, Britain, and others. Although it was originally conceived by the British and Canadians in the 1950s, the U.S. suspected the large airport was being built for the use of the Soviet and Cuban military. On October 16, 1983, Deputy Prime Minister Bernard Coard led his military-backed rival faction in seizing power from the Bishop government. Hudson Austin, the military leader, murdered Bishop and many of his supporters. The leaders of Barbados, Jamaica, and the members of the Organization of Eastern Caribbean States expressed alarm at the crisis and sought American assistance. The U.S. was also concerned with the presence of 1,000 American medical students at St. George’s University, who were unable to evacuate Grenada. 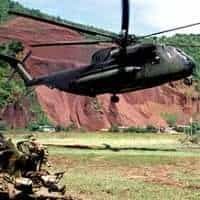 A joint force of U.S. and the Caribbean Regional Security System (RSS) troops invaded the island on October 25 in Operation Urgent Fury. The Grenada invasion would be the first U.S. military operation since the Vietnam War. After President Reagan gave the go-ahead, military leaders quickly prepared an invasion plan. 7,600 American troops from the Army Rapid Deployment Force, the 82nd Airborne Division, the Marines, Army Delta Force, and Navy SEALs, along with troops from Jamaica and the Regional Security System members launched an airborne assault on Point Salines Airport and an amphibious landing at Pearl’s Airfield. The Grenadian and Cuban troops were defeated after several days of fighting. 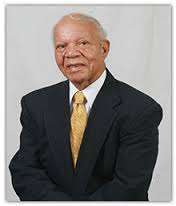 Ambassador Charles Anthony (Tony) Gillespie, Jr. served as Deputy Assistant Secretary for Caribbean Affairs from 1983-1985. He was interviewed by Charles Stuart Kennedy beginning in September 1995. In Part I of his account of the Grenada affair, he describes the escalation of tensions in Grenada, the reports of the coup, and the reaction from the United States and Caribbean governments. Read Part II here. You can also read about the 1989 U.S. invasion of Panama. GILLESPIE: During the summer of 1983 some disturbing intelligence reports began to come out regarding a little island called Grenada, in the Lesser Antilles. First, it was no secret that in 1979 a civilian figure in Grenada had been replaced by a revolutionary group called The New Jewel Movement. 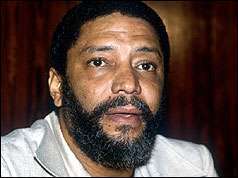 The leader of this revolutionary group was a young Grenadian named Maurice Bishop. He and his followers had taken over the country in what was essentially a bloodless coup d’état in 1979, more or less on the heels of the Sandinista revolution in Nicaragua. Nobody seemed to know exactly where the New Jewel Movement and Bishop were coming from. However, by 1983 it was obvious that it was probably going to cause trouble…. At that time we had an Embassy in Bridgetown, Barbados, with an AID [the U.S. Agency for International Development] mission. This was the resident post for an American Ambassador who was accredited to each of the island states of the Eastern Caribbean…. Among those was Grenada. We had no resident representative on the island itself…. The Government of Grenada never gave agrement to [Ambassador] Bish and, certainly, he was never accredited as Ambassador to Grenada. So he had never been to Grenada during this time…. 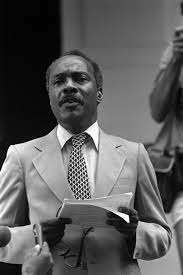 In about July 1983, I had been formally designated as Deputy Assistant Secretary of State for the Caribbean. I had never been to that area and didn’t know it…. So Assistant Secretary Motley agreed that it would be a good idea for me to make a familiarization visit to the area [accompanying Vice President Bush on a trip to Jamaica]…. Vice President Bush was going to Jamaica at [Prime Minister] Seaga’s invitation, to make a visit and show support for Seaga and the Jamaicans…. In about August or September 1983, we started to get intelligence reports out of Grenada concerning some tensions and difficulties within the power structure of the New Jewel Movement itself…. That was in addition to information about an airport being built or expanded at a place called Point Salines at the southwest tip of Grenada. This airport was being constructed by the Cubans, allegedly for the Grenadians. It was to be a huge airport, with a runway more than 9,000 feet long. That would make it as long as the runway at Dulles Airport in Washington, DC. It was reported that it was very heavily constructed. Our intelligence people were producing aerial photographs which showed that revetments and structures were being built, along with fuel storage facilities, which were far in excess of the presumed needs of an island about 13 miles long by 10 miles wide…. The Grenadian census figures showed that the island had a population of about 80,000 people…. Its tourism infrastructure was really small…. The New Jewel Movement people said that tourism was not the way to develop a society. That is an example of decadent capitalism…. So, the question was, why were they building this huge runway and airport? There were a lot of Cubans there building it – maybe as many as a whole construction battalion of Cuban troops. We had no representative on the island…. However, there was a very big Soviet Embassy, a big Cuban Embassy. There were embassies from Libya, Hungary, Czechoslovakia, Romania; virtually all of the Iron Curtain countries were physically represented there. This was during a period when the Cold War was still very much with us…. The British had a one-man consulate, staffed by one British officer…. The British High Commissioner in Barbados was accredited to Grenada, like our Ambassador…. There was practically no other country represented in Grenada, just Iron Curtain countries in large numbers. People in the Reagan administration were asking, “What’s really going on here? Why are they building this big airport?” Well, we started to get intelligence reporting and analysis that indicated that, perhaps, this might be a good place for the Cubans to have some kind of forward base. Maybe this would be a good place for Soviet Air Force Bear reconnaissance aircraft, a big, four-engined plane that conducts photographic, radar, and signals intelligence flights. Grenada would be a good refueling spot for that kind of activity. It was speculated that it would be an excellent place, interestingly enough, as a stopping off and refueling point for flights from Cuba to Angola… The Cubans had put medical personnel, teachers, and combat engineers on the island…. I have been involved in a fair amount of crisis management situations…. So I said, “…You ought to set up a Task Force, including consular officers and others. There are American citizens on Grenada.” By this time we were being told that 450 people had been shot and killed in the disorders in Grenada. The situation sounded really bad. We were talking to the British High Commission in Barbados, which was talking to its representative in Grenada. We had a CIA office in Bridgetown, but it was very small in this backwater…. We called the State Department in Washington, which was setting up a similar Task Force, with which we could establish contact and so on. We did all of those mechanical things but we still didn’t know what was happening on Grenada. On October 21 I got up very early and went out to the airport in Barbados and flew up to St. Lucia [the headquarters of the OECS]…. John Compton, the Prime Minister in St. Lucia (at left)… shook my hand and said, “All right Mr. Secretary, we have to talk but let’s go and sign this aid agreement.” We went through a door into a little conference room…. Press representatives were there, and they immediately began to ask, “What are you going to do about Grenada? What’s happening?” Prime Minister Compton looked at me and said in a low voice, “Do you have anything that you really want to say to the press now?” I said, “No, other than that, we’re monitoring the situation and are very concerned about it.” So he said, “Say that,” and I did. Then he said to the press, “We in the Eastern Caribbean have the same concerns.”… Then we went next door to his office…. Then I got on the airplane and flew back to Bridgetown, Barbados on October 22. There we learned that “maybe 150 or a couple of hundred people” had been killed in Grenada. The key consideration is that we had pretty solid information that Prime Minister Bishop and five members of his cabinet had been gunned down in the big fortress which overlooks the harbor in the capital city of St. George’s, Grenada. That was really bad news. We then had to focus on a major American citizen protection and welfare operation, with what turned out to be, quite frankly, a very marginally competent consular staff in the Embassy in Barbados…. The Consul said that he had tried to go up to Ft. Rupert, which had been named for Prime Minister Bishop’s father, to find out what was happening. However, he couldn’t get near the place because it was all cordoned off. The word he had was that Bishop and his ministers had definitely been killed, in addition to others, but nobody knew how many. Reportedly, a lot of people had jumped the walls of Ft. Rupert to get away from the shooting…. So there might be dead people all around. The political situation was clearly at a crisis stage. There were Grenadian generals broadcasting on the radio, declaring a curfew and so forth. There was a powerful radio broadcasting station built with either Cuban or Soviet money which was broadcasting all over the Caribbean, spewing forth a lot of anti-U.S. and anti-capitalist rhetoric. The broadcasts said that everything was calm and under control…. At this point, because of everything that had gone before, I think that we had already begun to think of what could be called, euphemistically, a “non-permissive evacuation” of Americans. That is, we would have to go in to get the Americans out, without agreement from the Grenadian authorities, whoever they might be…. We were under intense pressure from a variety of points, which ultimately fused together. In the United States there were those who said, “This is all a Cuban plot. The communists are coming and they’re going to take over Grenada. Somebody has to do something about it, and it had better be the United States.” There were people within the Reagan administration, in the military, in the intelligence community, and even in the State Department who said, “This is an opportunity to set right a bad situation. We could go in there and set the situation straight.” That is… remove the Cuban presence… and prevent that large airport at Point Salines from ever becoming a Cuban or Soviet air base…. The strategy that ultimately was chosen was to get ready to do all of the above. All of the above involved trying to get the American students out of Grenada, with the cooperation of the Grenadian authorities…. Then we would try to decide what to do about the other problem, but we also prepared to get those American students out of there in case the Grenadian Government says, “No, we’re not going to let you do that,” or, “We’re not going to help you,” and the danger level would rise…. We were in a tight time frame…. It was now October 22, 1983…. The strategic approach which I mentioned before led us to prepare for a non-permissive evacuation. If you are going to intervene and take out the American students with military force, then, obviously, other things will happen at the same time…. 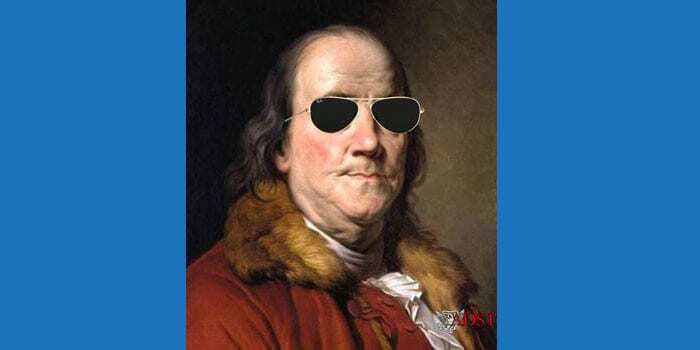 The British felt that their responsibilities ended with the “Sterling handshake,” or grant of money, which they had given the Eastern Caribbean islands in the 1970s when the islands became independent…. I don’t know what was really going through Prime Minister Thatcher’s mind at the time, but she had just concluded the Falklands War in 1982…. 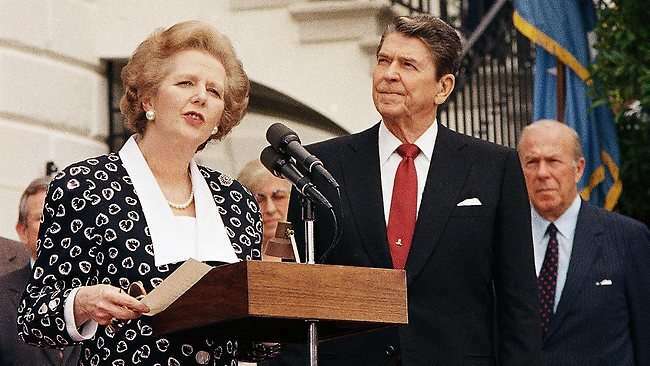 I think that the other consideration which really frosted Margaret Thatcher was that the Eastern Caribbean states had gone to us before they went to her…. She was never very happy with U.S. behavior regarding the Grenadian affair…. However, the story down in the islands was fascinating. The eloquence and the vehemence with which the Eastern Caribbean Prime Ministers were saying, “We’ve got to resolve this situation in Grenada. We have to move, and the U.S. has to help us because we can’t do it by ourselves. This is democracy being saved.” I think that they really believed this…. In Dominica Prime Minister Eugenia Charles had had an armed attack on her government. Guess who came in and fixed that! It was the French from Martinique, who sent a couple of their cutters up to Dominica. They did this without a by your leave. They just went in, grabbed the armed men, took them away and put them in prison or set things straight very quickly, without any discussion. Nobody went to the United Nations. It was just done…. Our officers were dealing with a Major… [who] would say, for example, “Yes, if any of these American students wants to leave, they’ll be able to leave. All they have to do is say so, and you can bring a ship in.” So the Administrative and Consular people up in the State Department in Washington got in touch with Cunard and other cruise lines. They had ships lined up, ready to come in to Grenada…. Ken Kurze would go over to the Major and say, “Okay, we have a ship that will be coming in on such and such a date.” The Major would say, “Oh, no, it can’t land. That’s not permitted. I’m sorry. We’re going to have to close the port. The ship will not be able to come in.” There was no airfield, no place for planes to land, except a very small, light aircraft strip in the northern part of the island. Q: Were the Grenadians playing games with you? GILLESPIE: Well, we had to guess. We really couldn’t tell. Remember, we had no one on that island doing political reporting…. A man described as “General” Henry Austin had just taken over the Grenadian military. He said, “Don’t worry, I’m in charge. Everything’s okay.” Then came the 24-hour curfew, with shoot-on-sight orders to the troops and all kinds of problems. Then came Bernard Coard and his wife who, as we learned over time, were the instigators of the whole thing. They were the leaders of the group that killed Bishop and his ministers…. There was the Governor General [Sir Paul Scoon, at left], who was accessible to the British Consul and a few other people…. Initially, he was reluctant to blow the whistle too hard, although he cooperated fully with us afterwards… after he concluded that the situation had gone further than anyone thought that it would…. When our people were there, they were escorted and were with Grenadian officials, either military or civilian. Nobody had the free run of the island…. The assumption was that we knew that there were Soviets, Cubans, Libyans, Hungarians, and all kinds of other, Eastern European, Iron Curtain country representatives there on that island. We were pretty sure that they had intelligence capabilities of their own and could monitor phone lines and do other things. Everybody was very careful in talking to our people in Grenada because we didn’t want them to get into trouble…. « KAL 007: A Targeted Assassination? A Moment in U.S. Diplomatic History KAL 007: A Targeted Assassination?